Georgia Unemployment Insurance benefits is an option for unemployed residents who have lost employment through no fault of their own. The State provides Unemployment Benefits in Georgia in the form of unemployment insurance assistance set by both Federal and Georgia State law. UI amounts are determined by the amount you were earning before being laid off. Keep in mind, there are requirements to qualify for insurance in Georgia to begin with, like how many weeks you worked at your previous job. Georgia State benefits are generally offered for a 26 week maximum. 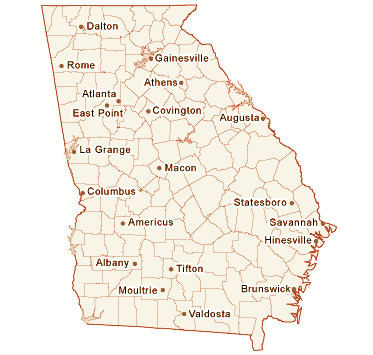 It is important to note that when the claim figures in GA is higher than usual, unemployed Georgia residents can qualify for an extension. The State of Georgia will compensate you for 50% percent of the wage amount you've previously earned (in most cases). Requirements for compensation amounts and lengths of benefits depend on the current rate for Georgia. Full detail on all requirements in regards to receiving compensation can be found on the Georgia Online Filing page. Those who have exhausted all original insurance in Georgia are entitled to extended benefits or extension IF the Georgia rate is higher than usual. Under these circumstances, the basic extended benefits program in actually provides up to 13 extra weeks of Georgia compensation. As of 2012, GA has implemented a voluntary program to compensate another 7 weeks all the way up to 20 weeks at maximum. See the GA requirements page for additional information.